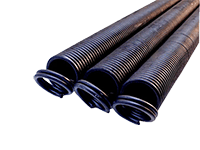 Having issues with your garage door springs? Well you’ve found the best resource for spring repair and replacement!  Salem Garage Door Spring Repair and Replacement by D&L is the most reliable repair company in town, offering the lowest prices around. We use only the highest quality parts for repair while still offering you the lowest possible price available. Our technicians are competitively recruited and undergo intensive hands-on training for weeks as well as an extensive background check to insure that only the most reliable, trustworthy licensed technicians work on your home. We work 24/7 to insure you get help when life happens! • A garage door with extension springs will have a safety cable on each side of the door running through the spring and attached to the wall or ceiling and help control a broken spring from flying across the room. 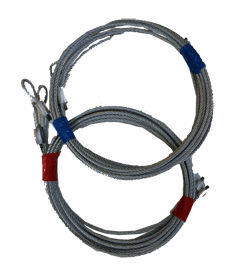 • If you have extension springs on your garage door but can’t find any safety cables, call us and get a pair installed. 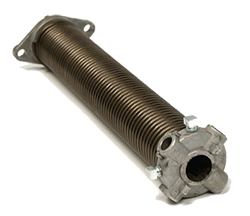 • Garage door springs are attached to brackets on the bottom of the garage door. These brackets are also under a lot of tension and should only be adjusted by a professional. • Try operating the garage door manually (pull the cord attached to the arm). If the door continues to be difficult to operate, the springs are most likely out of balance. • If this type of issue can only be repaired by a licensed professional. REMEMBER: NEVER ATTEMPT TO REPAIR OR REPLACE GARAGE DOOR SPRINGS YOURSELF, ALL SPRINGS ARE UNDER EXTREME TENSION AND CAN CAUSE SERIOUS INJURY AND/OR DEATH. While and annual inspection and maintenance are appropriate, you should always call a professional when it comes to spring repair.